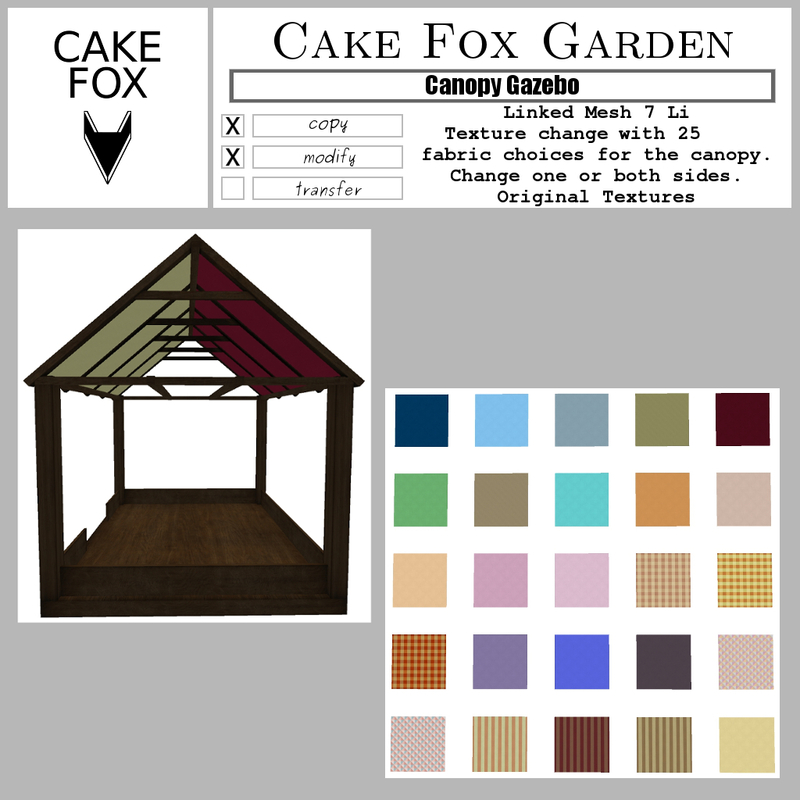 Cake Fox SWAG this weekend is this mesh canopy gazebo with 25 fabric choices on the texture change menu! Get it for fifty lindens only at the Cake Fox SWAG location. 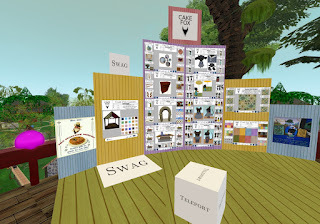 Use the vendor with the big sign SWAG under it for all swag purchases. 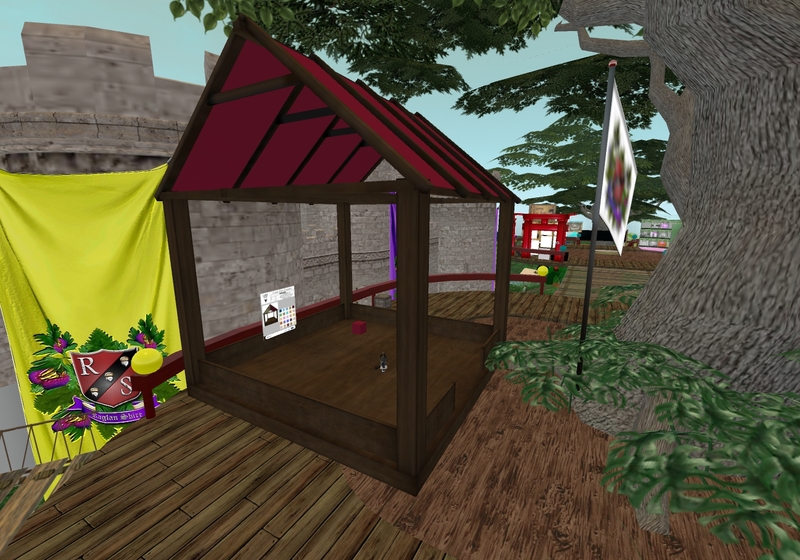 The big white box is a teleport you can use to jump to a display of the gazebo on the same sim. Caleb was kind enough to let me rezz the gazebo there, so you can take a look, before you decide, if you want to purchase it. I put a vendor there too, so you do not have to hop back to the shop. You can change the canopy texture on both sides or use different texture on each. The gazebo is modify so if it looks too big to you, you can resize it. Take safe copies first, though. Abba Patio Outdoor Garden Party Canopy Gazebo from BIZARKDEAL looks pretty luxurious for its value and it's stable! Perfect size. The colors of the actual gazebo looks better than the pictures does. Glad I purchased it, provides great shade for my guest and I against the heat!